So, the Friday night lift-off of the shuttle was easily the best one that I have seen in my decade here in Central Florida. It was just a little bit cloudy, so the flames coming out of the back seemed sort of magnified. It really looked like a small sun rising especially in the first second or two. Here is a link to see some pictures of it from the NASA site. It was great, most of my neighborhood was out on the street watching it take off. I’m really glad that I took the time to go out and see it since it will probably be my last here. And, it is among the last missions that will ever go up as they are closing down the shuttle funding to work on a different way to get folks into space. Last night I went to a barbecue at Lily’s house. I got to meet her great friends and family, hang-out with a few of the hookers, and eat an insane amount of meat! Oh My GOD they had a LOT of food. I was so busy eating that I didn’t take any pictures. Of course. I took a cake from B & K Bakery that, as usual, had everyone very excited. These are the same folks that made the wedding cake for Tech Support and I’s wedding. They were applauded when they came to take the plate back to the bakery! Anyway, if you are ever in the area, I highly suggest that you check them out. Anyway, it didn’t rain like the forecasters had been threatening for last night but it did cool down, which was kinda nice. It was a great night and I had a lot of fun. 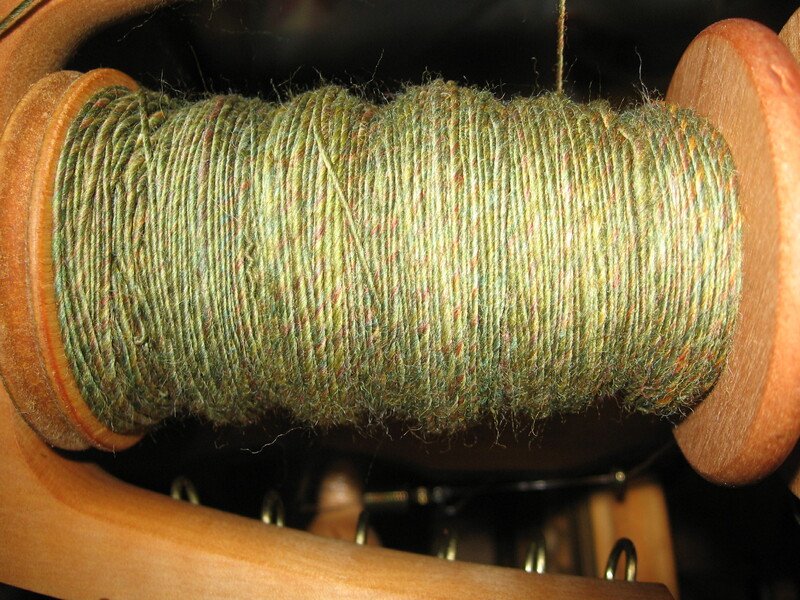 Afterwards, I did a little spinning to try to calm me down to go to be. 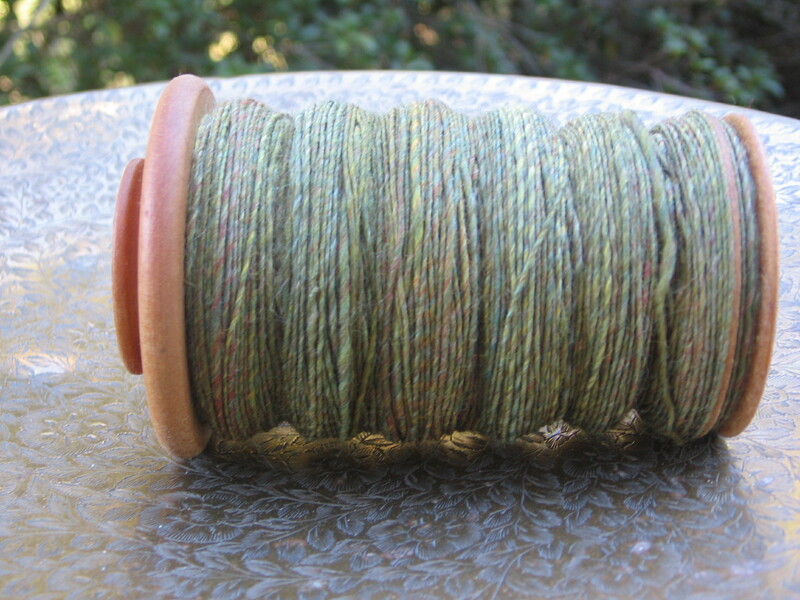 I finished the bobbin! This trying to do a little each night before going to bed works really well I have to say! Today I am going to try to do some more cleaning and laundry. I just gave all of the cats and dogs that I could get a hold of their flea treatment. Milo escaped to the outdoors so she will get hers when she comes back in. Oh, before I went to the party last night, I went shoe shopping! Now, anyone who knows me will know that I hate clothing shopping, and that includes shoes, with a passion. But yesterday I HAD to get a new pair of tennis shoes for work. The ones that I was wearing were letting water in through the bottom. Not a good thing when you work in a greenhouse where you are walking through water a lot. Plus, all of the support was shot in them and ever since my knee surgery I’ve found that I can’t wear shoes until they fall apart quite as much as I used to. So, I went to Sports Authority since they had a pretty good Veterans Day sale going on. They had some shoes for $29 which I thought was a pretty good deal. Then, I got there. They had a TON of clearance shoes! 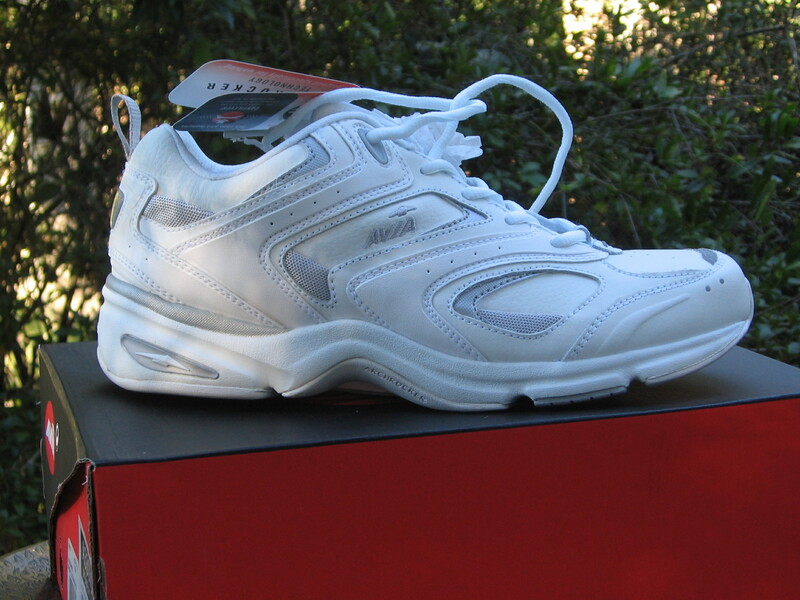 I ended-up getting these tennis shoes for the gym for $19. 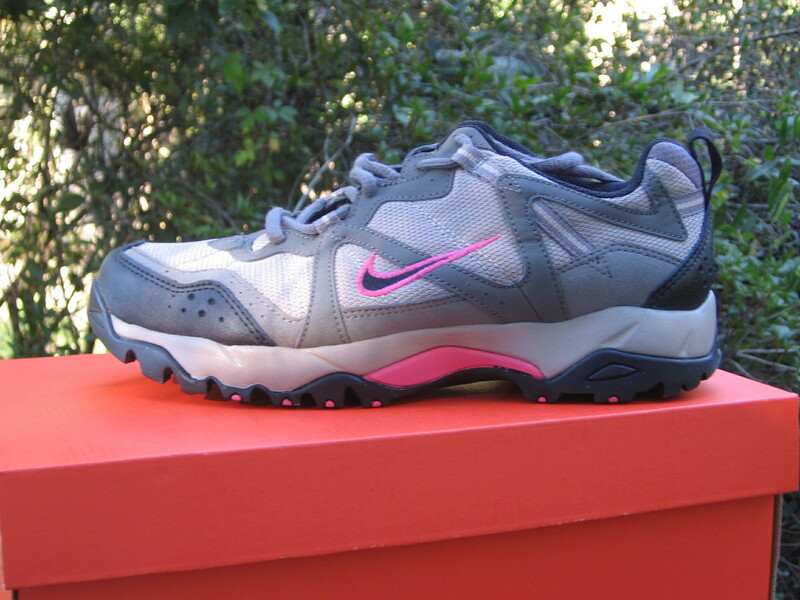 And these Nike hiking shoes for work for $29. 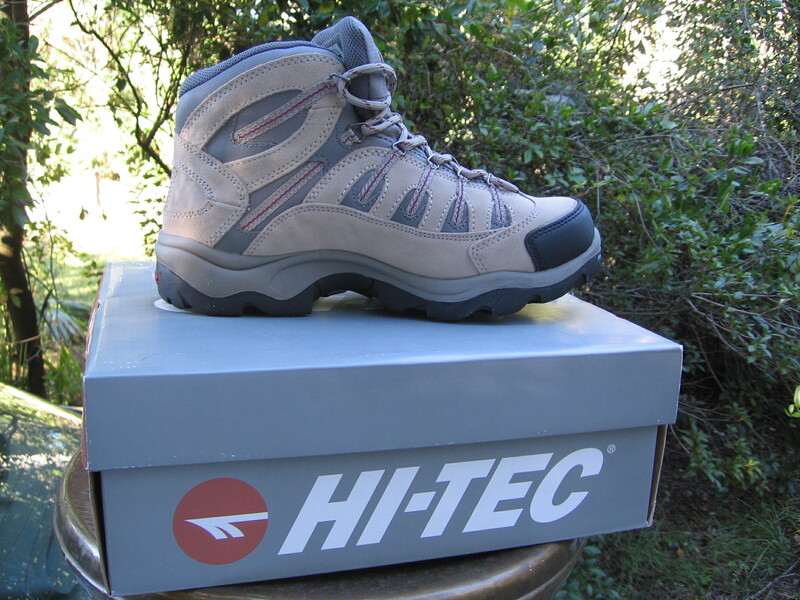 And these waterproof hiking BOOTS for England for $39! Plus I got a long sleeved Columbia shirt for $14 and I had a coupon for $25 off a $100 purchase. It was easily one of the best shopping times I’ve ever had!